Hamas accuses PA chairman Mahmoud Abbas of collaborating with Israel and specifically the residents of Judea and Samaria. Hamas is continuing to take advantage of recent goings on in Judea and Samaria (the murder of the baby in Duma and the violent clashes in various cities) to escalate the campaign it is waging against the legitimacy of the Palestinian Authority's (PA) rule. Shadid claimed that the PA provides a security environment that encourages “the aggression of the occupation”, adding that its conduct is "very dangerous" and raises questions about the future relationship between the Palestinian organizations. "At a time when the settlers are burning our children, the Palestinian Authority returns settlers to the occupation, and moreover it limits the powers of the struggle, persecutes them, binds their hands, confiscates weapons, provides information on fighters and goes so far as to turn many of them over to the occupation,” he added. The comments come one day after Hamas spokesperson Sami Abu Zuhri accused PA chairman Mahmoud Abbas with bearing responsibility for the death of an Arab infant in the village of Duma in Samaria on Friday, which came during an arson attack the IDF suspects may have been committed by Jewish extremists. 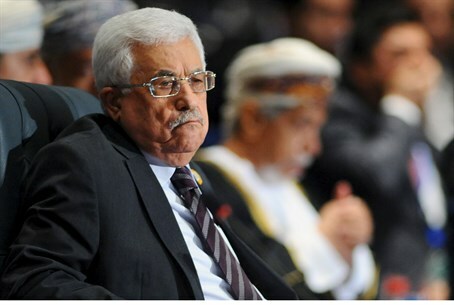 "I call on Abbas to stop pursuing Hamas in the (West) Bank, and place on him personal responsibility for the burning of the infant Ali Dawabsha, due to his harassment of resistance fighters," he said. "If Hamas had a free hand to act in the (West) Bank, the settlers wouldn't be able to commit crimes like this and burn our children," claimed Abu Zuhri. Tensions between Hamas and Fatah have continued despite a unity agreement signed in April 2014 which sought to end seven years of bad blood between Fatah and Hamas. The unity government between Hamas and Fatah collapsed in June when Abbas, who heads Fatah, decided to dissolve it amid a deepening rift between the sides. Negotiations on a new government were set to restart after the Eid celebrations marking the end of the Islamic holy month of Ramadan, but the sides have continued to quarrel. Earlier this month, PA Prime Minister Rami Hamdallah criticized Hamas for creating a shadow government in Gaza and blocking efforts to reach political unity. Hamas has in turn accused the PA of executing a plan to "eradicate" the movement from Judea and Samaria, saying that an arrest campaign of over 200 members was carried out by the PA to target reconciliation efforts between the two factions.